Having a decent rental property guarantees a steady cash flow for only as long as you manage that property well. 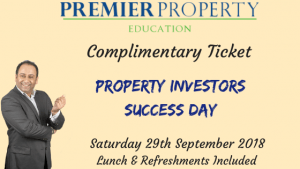 In fact, the biggest contributor to your cash flow is your ability to increase the perceived value of your property. 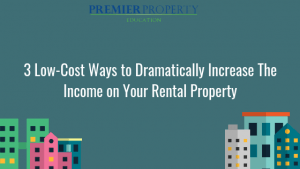 Before you show the property to your prospects do these three things to increase the income on your rental property. As your prospective tenant arrives to view your property, what do they notice first? That’s right, it’s the outside of the house and your front lawn. A neat front lawn will create a really positive initial impression and set the mood for the rest of the viewing. It doesn’t take extensive landscaping, serious work,or builders. This can be really easily achieved by simply making sure your lawn looks tidy and presentable. Overgrown bushes and shrubs can be trimmed. Fallen leaves, sticks and rubbish or anything that might make your lawn look cluttered should be swept up and cleared away. Even placing a few shrubs or flowers strategically can make a huge difference. You can even use cheap solar powered lighting posts that you can just stick in the ground. If there’s a fence around your property, make sure it looks nice. A broken fence or missing pickets are something no tenant would like to see. A fresh layer of paint is ideal, but is of course more expensive. A thorough cleaning of your property will work wonders. You can either get it done professionally or you can do it yourself. All you will need is a few hours, a ladder, a pile of old rags, a lot of soapy liquid. If you have a budget available to buy paint, that’s a great addition. Use it to paint the areas that are in more obvious need. At the front door, make sure it looks welcoming and fresh. A freshly painted door gives the impression that you’ve actually refurbished the house. Make your appliances look as good as new even when they’re not new. Shiny and expensive looking appliances dramatically increase the perceived value of your property. A great tip is to buy a bottle of hard surface cleaner and use it to shine all the appliances. Malfunctioning appliances are also a huge turn-off for people looking to rent, be sure that all of your appliances are functioning well. Sprucing up a rental property for a new tenant is an all-important exercise for every landlord. 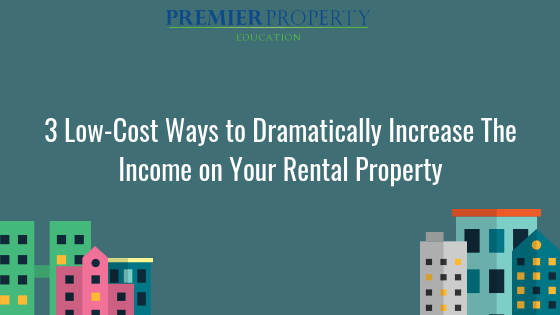 However, there’s no need to waste money on your rental property. Every single penny you spend will eat into your ROI and so much be utilised carefully. For most tenants, new appliances (or new looking) and clean washrooms are the top priorities. So, if you’re thinking about renovating your property to rent out, be sure to prioritise these parts. Also, make changes in your property according to the surrounding market. For example, turning a house into a semi-mansion located in a low-income area will probably not attract the right tenants and it will cost you more than the ROI requires.